Have You Talked To Your Children About Fruits And Vegetables? Junk food use begins with parents, it’s a means of coping—to deal with anxiety, anger, depression, boredom of what to cook, and avoid unpleasant battles with children at meal time. The fact is, research shows family members’ consumption of junk food plays a strong role in whether children/teens will be obese. Parents, grandparents, and older brothers and sisters are models that children follow. So indeed, all aspects of a child’s environment—home, school, and neighborhood—can influence what they eat. How can you prevent a from child eating junk food? There is no magic bullet to stop children from eating junk food. But research shows parents have a big influence on their children’s diets, even when it doesn’t seem that way. So talk openly with your children and stay actively engaged in their lives. It starts with an apple. 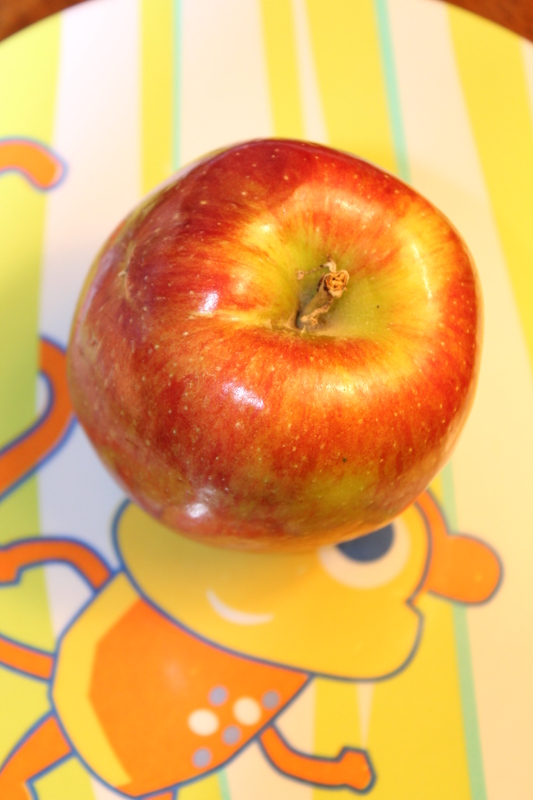 Apples are a gateway to fruits and vegetables. To help you get started, below are some brief summaries of the benefits of eating fruits and vegetables that you can share with your kids to help them sort out fact from myth, and help them make the soundest decisions they can. Improved Nutrition- Children’s growing bodies require good nutrition, and fruits and vegetables contain a multitude of vitamins, minerals and other healthy compounds. Decreased Obesity – Fruits and vegetables are high in filling fiber, but low in fat and calories. Encouraging kids to eat fruits and vegetables instead of sugary snacks and fat-laden fast food can help children avoid obesity. Digestive Health- High-fiber foods, such as fruits and vegetables, help the digestive system function properly. I’ve found it’s less about prevention and more about entertainment. For example: My sons were big fans of dinosaurs, so broccoli became little trees to be eaten by my dinosaur kids. We made pizza at home, and they shaped and topped their own. Carrot coins were treasure; fruit was dipped in maple or vanilla yoghurt. I think giving kids a role in making meals goes a long way in empowering their good food choices. They will be more willing to eat what they helped create as sous-chefs than what’s plunked before them, and they learn to cook for themselves. For infants starting on solids, I suggest baby food mills over baby food in jars. It’s cheaper, and the extra sugar and starch are missing right from the beginning. Start ’em right when it matters, don’t give in despite the exhaustion, and educate yourself as a parent. Sure, the junk food will be part of their lives, but empowering them to choose healthy alternatives and reminding them that they feel better when they eat healthy can do a lot to bring nutritionally-sound thinking from early childhood into adulthood. Great response. Exactly. Thank you for your input, Jess.